When Protestants and Catholics discuss ecumenism, it is not uncommon for Protestants to say, somewhat defensively, that there are plenty of “conversions” from Catholicism to Protestantism to offset those from Protestantism to Catholicism. It is also not uncommon for Catholics to reply, somewhat smugly, “Yes, there is plenty of traffic both ways, but Protestants send us their best while we send them our worst,” meaning that the Protestants who become Catholic tend to be faithful and intelligent, while the Catholics who become Protestant tend to have never been very faithful or know much about the Catholic faith. This smug reply, which is largely true and for many Catholics a kind of trump card, is, in fact, rather damning for the Catholic side. It means that the Catholic Church has failed and failed miserably; it means that the contemporary Catholic Church has not built up believers, not taught them the faith, and with all the fullness of truth at its fingertips has not made the Catholic Church a home where its own sons and daughters want to live. 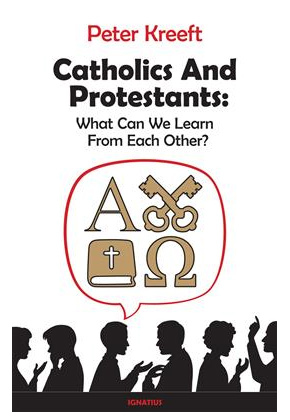 Peter Kreeft’s new book, Catholics and Protestants: What Can We Learn from Each Other?, proceeds from a keen awareness of this situation. Kreeft is one of those faithful and intelligent Protestants who became Catholic, but he is not smug about his Catholicism. Rather, he knows that Catholics have failed to communicate the most fundamental reason for the existence of the Catholic Church: to introduce people to Christ and unite them to Him. Indeed, Kreeft says that the call of the last four popes for a “new evangelization” is “the greatest confession of failure in Church history.” The new mission field for spreading the Gospel is not those far reaches of the earth that have never heard the Gospel, but the Catholic Church itself (or at least large parts of it) that have been sacramentalized but not evangelized. From his own experience teaching at an elite Catholic university, Kreeft knows firsthand how little Catholics know about and live their faith. They don’t know how to get to heaven. They don’t know Christ. They don’t love him or follow him. In many respects, Catholics are indistinguishable from the rest of the unbelieving culture. Thus, Kreeft says, “Catholics have to go hat in hand to Protestant Evangelical heretics and learn from them what the essence of our own religion is.” Many Catholics turn to Evangelical communities because they actually find Jesus there. 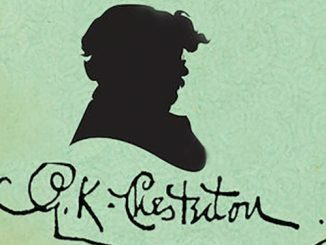 Kreeft’s book, though, doesn’t begin with failure, but with friendship. Kreeft begins with one of the most remarkable developments in the past 500 years of Catholic and Protestant relations: many Catholics and Protestants are friends. They love each other, they desire reunion, and they are open to learning from one another. I see this in my own situation as a Catholic professor in the religion department of a historically Protestant college. Often, I have been overwhelmed by the warmth, generosity, and hospitality of my Protestant colleagues and administration. Indeed, I often tell people that I have more freedom to be Catholic here than I would at many Catholic colleges (Kreeft humorously notes that the deepest, darkest new mission territory is Catholic college campuses). This kind of reception would have been unheard of even fifty years ago, but now it is common. Kreeft offers a striking image for what happens when Catholic and Protestants start talking and listening to each other, something not just personal, but ecclesial. Catholics discover the fire, and Protestants discover the fireplace. Catholics discover the essence of Evangelical Protestantism; a personal relationship with Jesus Christ as Lord and Savior. Protestants discover the essence of Catholicism; Christ’s own visible, tangible Body, both as a living institution with teaching authority and as a real literal personal presence in the Eucharist. Kreeft does this kind of intellectual jujitsu numerous times. He does not lazily believe that deep down we are all really the same or are really saying the same thing. On some issues—transubstantiation, the Pope, Marian dogmas—one side is right and one side is wrong. But, Kreeft time and again uncovers a deeper unity in our motives. Both Catholics and Protestants seek to do Christ’s will. We have many theological and institutional obstacles to overcome, but our motives, which are the very first thing, have been massively converted: we love each other, and we love each other’s faith in Christ, and we want to learn from each other, because we both have a holy greed for all we can learn of Christ….and we are both distressed at the wounds and lacerations in His Body (51). How essential is this perspective of hope! On official levels, ecumenical dialogue has stalled. There is, for the time being, a sense that we have discussed everything there is to discuss and pretty much know where the agreements and disagreements are. Dialogue continues, and must continue, but it is not clear where it is going. But, Kreeft says, viewed from Christ’s perspective this matter of motives is the most fundamental. That the motives of Catholics and Evangelical Protestants have become the same and that this motive operates in the context of ecumenical friendship should give us a palpable hope that reunion is possible, even if we cannot see how and even if it does not happen in our lifetime (which seems unlikely). And, moreover, we know by faith that it is not only possible but a future reality because Christ himself wills it and prayed for it (see John 17). 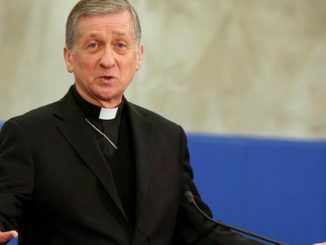 Reunion for Kreeft seems to mean that Protestants will “come home” to the Catholic Church. This is perhaps the unacknowledged controversial point of his book and one Kreeft perhaps could have explored more. 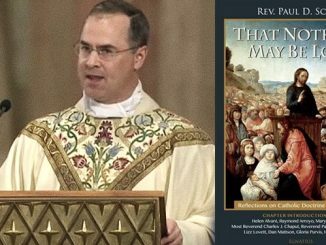 He even has a chapter entitled, “What Will Make Good Protestants Come Home?” Kreeft is certainly right on one level to use this language: this is often the experience of Protestants who become Catholic. They see the beauty and truth of the Catholic Church, encounter its saints, and are drawn into full communion. “Coming home” is still a common way for Protestant “converts” to talk about their experience (see EWTN’s Journey Home television show with Marcus Grodi sponsored by the Coming Home Network or Scott and Kimberly Hahn’s immensely popular book Rome Sweet Home). This language, though, is in stark contrast to official statements which reject what is called an “ecumenism of return” (see Pope Benedict XVI’s talk at the 2005 World Youth Day Ecumenical Meeting). Johannes Cardinal Willebrands, a former president of the Pontifical Council on Christian Unity, once famously said, “‘Return’ is not a word in our ecumenical vocabulary.” The language of “coming home” will have a place for the foreseeable future and, from the testimony of many Protestants who become Catholic, has a role to play, even if it is at odds with official language. This question of language brings up the important question of what full communion will some day look like. Will it be a mass return of Protestants to the Catholic Church, similar to what happens now but on a larger scale? No one knows, but I imagine that what it looks like and how it comes about will surprise (and delight) most of us. Who could have foreseen Benedict XVI establishing the Anglican Ordinariate? Who knows if someday we might have Methodist and Reformed and Lutheran Ordinariates? Kreeft muses at one point, “Catholic means ‘universal’. The Catholic Church claims to embrace, to include, many things, as well as many peoples. Perhaps it is ‘catholic’ enough to include Protestant things.” Who knows how the Holy Spirit will surprise us in the future? Kreeft repeats throughout this fine book a theme that runs through most of his works: the need for all of us to become saints. “His Church will become wholly whole when it becomes wholly holy” (203). The reason we have a divided Church is because we are not saints. What would happen ecumenically if all Catholics and Protestants became saints? “If all Christians were saints, we would understand each other and the Church would be one—one rich tapestry of nondivisive diversities.” Kreeft challenges the reader again and again become holy. For those who are convinced by Kreeft’s ecumenical vision, perhaps the next step in working toward Christian unity would be to pick up another of his books, How to Be Holy: First Steps in Becoming a Saint, and get to work. 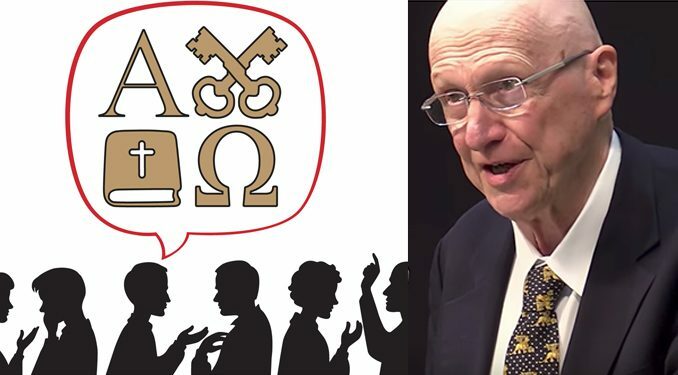 Kreeft’s Catholics and Protestants: What Can We Learn from Each Other? is a lucid and insightful tour through the principles of ecumenism. He models it on Pascal’s Pensées, with chapters of varying lengths and styles (including parables, stories, short treatises) devoted to making a particular point. It makes for good spiritual reading (it was mine for the past month) and would also make for a provocative book study or ecumenical dialogue. Kreeft powerfully shows how reunion will come about not through compromise, but through doubling down on the truth. Without minimizing our disagreements, Kreeft penetrates beneath the surface to our deeper agreements. It is by seeing our disagreements through the lens of our deeper agreements that we will make progress toward Christian unity. San Francisco: Ignatius Press, 2017. 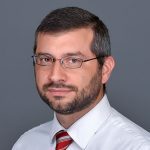 Dr. Jared Ortiz is Associate Professor of Religion at Hope College and author of You Made Us for Yourself: Creation in St Augustine’s Confessions (Fortress Press, 2016) and editor of Deification in the Latin Patristic Tradition (The Catholic University of America Press, 2019). He is also founder and executive director of the Saint Benedict Institute. Worthwhile assessment. Kreeft is correct rejecting compromise. A “rich tapestry of non divisive differences” is realistic and already in effect. However, “The Center for Applied Research in the Apostolate (CARA) reports that approximately 100,000 people have entered the Church in the US each year for the last 10 years through the RCIA (Rite of Christian Initiation for Adults) program. That certainly sounds like an enormous number. Yet adult conversions are actually in decline since 2000”. The figures will likely continue to decline with increased controversy with Catholicism during this Pontificate. What can and will effect a true union of Christians will be the conviction that the tenets of Catholicism’s Apostolic Tradition clearly identify the truth. That blessed event may require a less welcoming event. The Church’s Ultimate Trial (See CCC 675). When Peter Kreeft revises some of his silly rants against traditionalist Catholics, and acknowledges the depths of the disorder in the Rome, I will listen to what he has to say about ecumenism. Until then, his judgment is not to be trusted. I agree with you, Timothy. Kreeft’s judgment on ecumenism as a Vatican II neo-Catholic is suspect. The only Church founded by Jesus Christ is the one, holy, Catholic, Roman, apostolic Church. To claim it can “include Protestant things” is utter nonsense and offensive twaddle. What the heck is this post supposed to mean? Thats a fair point, seems like certain Catholic want ‘Ecumenical charity’ apart from when it applies to their brother Catholics. Good piece, but the photo is not of Peter Kreeft. I’m sorry to hear that. He has been a voice of faithful sanity at BC for many years. I love Kreeft, and owe him gratitude for helping me see so many things. But he follows a line of thinking that leads to a Balthasarian bland out, even as he disowns the Balthasarian “All May Be Saved” thesis. This book typifies the weird confusion that is afoot in the Church right now. I agree with almost everything he writes, but also immediately see how almost all his phrases can be parroted and hijacked by Modernists as well. Hard times. If there is one Holy Catholic and Apostolic Church with all her doctrines and disciplines, isn’t it the truth that one who does not adhere to them is outside of that Church and does come home when they finally adhere? Moving past the “fire” which can simply be emotionalism, the fireplace that is the Church is continually lit by the sacraments and by the very presence of that Fire who is God who as Kreeft says is literally present in the Church. So let’s be clear as to this fire is because the fire that is important is always in the fireplace. It is foolish to mistake the fervor for the real fire that sustains the logs in the fireplace. Considering the expressions, “what is” and “what could be”, I lean towards my receiving a distinctly different message intent from each expression. When quibbling over the intent behind the expression of “return”, this article’s author uses the former, citing Pope Benedict XIV, and the citation given uses the latter. The “what is” style does bolster the cited claim of Cardinal Willebrands, but is not exactly true to the source. It seems to me that clarity of our differences should be the first priority in order to promote ecumenism. The efforts of some to minimize doctrine in an effort to achieve false agreement is badly misdirected. There is such a thing as objective truth and to pretend a consensus that is not there serves no one well. how can anu one who prays even just recites the Catholic creeds believe in the wonky ecumenism practiced in the Church today. What did Christ say…”go and teach all nations” what then is ecumenism? t is not teaching our faith and that is for sure.